Recently a Baha’i was inspired from discussions on Talisman to begin a group dedicated to formulating Alternative Learning Institutions. I’m glad to pitch in with a few measely ideas of my own in the hopes of contributing to its success. Its necessary to go beyond criticisim (however well deserved) and demonstrate a clear alternative that is better than the status quo. The only thing that will overcome the inertia of apathy and the group think of top-down imposed Ruhi institutionalization is the success of an alternative. I don’t think this is a particularly difficult challenge since Ruhi is now in its 5th year of world wide implementation and it has yet to show any significant evidence of efficacy. If you want to be part of this endeavour, you can join the Alternative Learning Institute Yahoo!Group. A new website, the Heyday, has been created by and for the Baha’i youth of Australia. It looks pretty comprehensive with not only current events but multimedia, a few regular columns, discussion forums and even an advice column by ‘Ace’. Its similar to Baha’i Youth (the US site) as well as the now defunct MJBaha’i (the Latin American site). Needless to say, you don’t have to be an Australian youth to use it. So if you know a Baha’i youth who would benefit, point them in the right direction. Along with many other Baha’is I am interested to know how the Baha’is are doing there after such a harrowing time under the oppression of the Taliban. So, silly me, I joined and hoped to find out some good news about the renewed activities and freedoms they enjoy. I was baffled when the only thing that appeared, day after day, week after week and month after month, was the reposting of Baha’i World News Service stories – which had nothing to do with Afghan Baha’is, inside or outside Afghanistan. But don’t bother trying to point out the inanity of the whole thing. Apparently the creator and moderator of the group is completely immune to logic. I’m. Sorry. I. Really am. 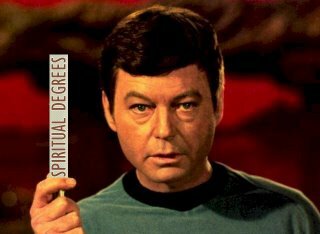 Just like you, I hoped that Spiritual Degrees would tackle some of the difficult issues which most Baha’is sweep under the rug. And bless them, their heart seemed to be in the right place (give or take a few inches). But when when Bones says it’s dead, its dead. But although this may be relatively new to the Baha’i region of the internet many others have been quite active for a while now. I stumbled upon one such podcast in this blog. It is an interview with a Baha’i describing her personal journey towards the Faith. The audio clip, at almost an hour, is rather longish. And I also would be remiss if I did not add a cautionary note for listeners with sensitive constitutions: it contains material of a rather graphical nature regarding the wanton masculinity of a certain Burl Barer and its unintended consequences on a hapless young girl. But then again, all is fair in teaching and consolidating, right? Now that you have been duly warned…what are you waiting for? clicky, clicky! Baha’i World is a great website for keeping up to date with conferences and such. I’m mentioning it so that more become familiar with it and actually use it so that it can get over the critical mass hump and really become useful. Go ahead and add your local Baha’i activities and events. Get the word out through the internet and you’ll be surprised at how many will show up. Also pass it on to others so they can do the same with their events. Just make sure you put up your event ahead of time to give people a chance to find it and attend. Badi has started a personal blog. I’m always happy to read the thoughtful comments of other Baha’is about real substantial matters (not to be confused with the sort of drivel that gets put up on most blogs by Baha’is: I ate pizza… my cat had a bowel movement… etc.). The only thing is Badi’s blog is in Spanish. So if you ‘no habla espa?ol’ … get with the Universal Auxiliary Language already ! !